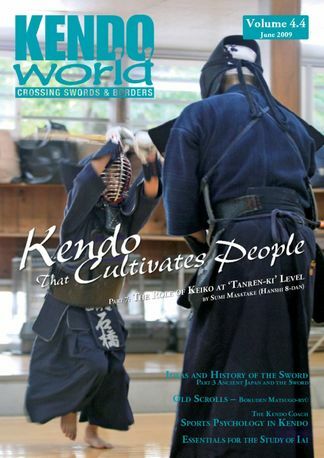 Kendo World is the only English language periodical devoted to Japanese budo (martial arts), and the dissemination of its vast practical, philosophical and historical aspects to the non-Japanese speaking community. Although Kendo World's primary focus is kendo, it also covers iaido, naginata, jodo, jukendo and tankendo, as well as other koryu. In addition to these martial arts, Kendo World also contains articles of cultural and historical significance on various subjects related to budo. The Kendo World Team also visits and reports on many of the major kendo tournaments in Japan and around the world. The articles contained in Kendo World are written by an international network of experienced martial artists spread across Japan and the world. Translations of articles and books published in Japanese, including those of our supporters Kendo Nippon and Kendo Jidai magazines, are also included in Kendo World. Be the first person to tell us what you think about Kendo World and you'll save $5 on your next purchase!